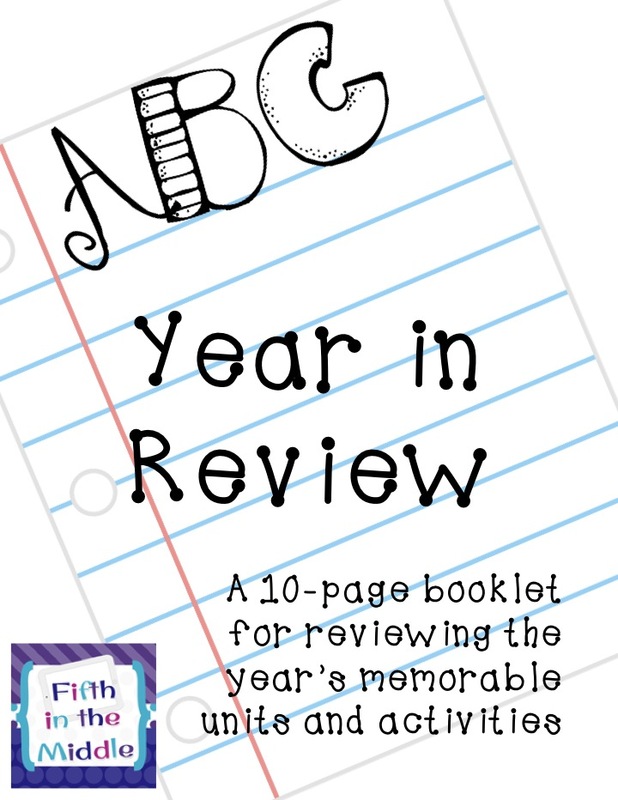 For the last few days of school, the fifth grade teachers in my building are doing an ABC Year in Review. I have read many blogs of those of you who are doing the same. Our students will be taking the planning page to each of their core classes. 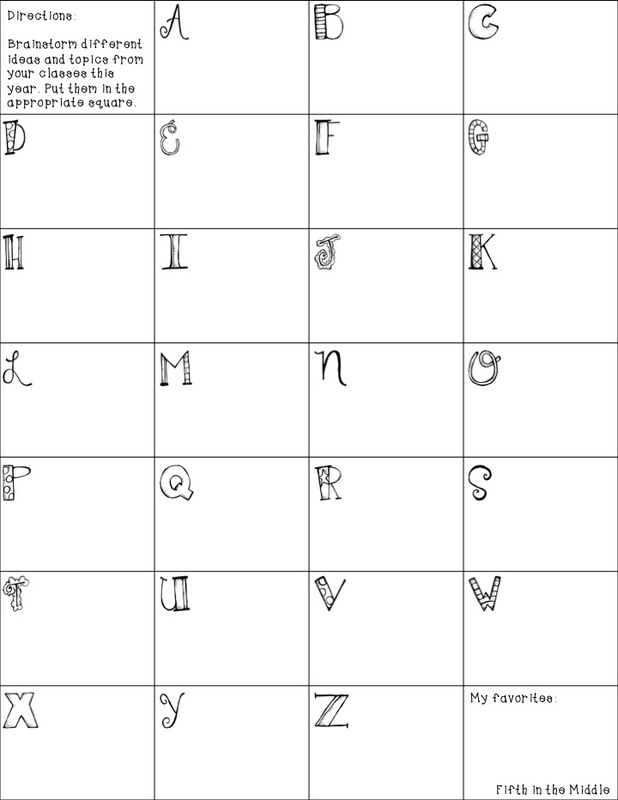 As a class, they will brainstorm different topics and ideas that students will record for each letter. For example, in my social studies classes, we might write down explorers, Christopher Columbus, Queen Isabella, Patrick Henry, apprentice, triangular trade, etc. In math, they will write down math-related terms, and the same for science and literacy. 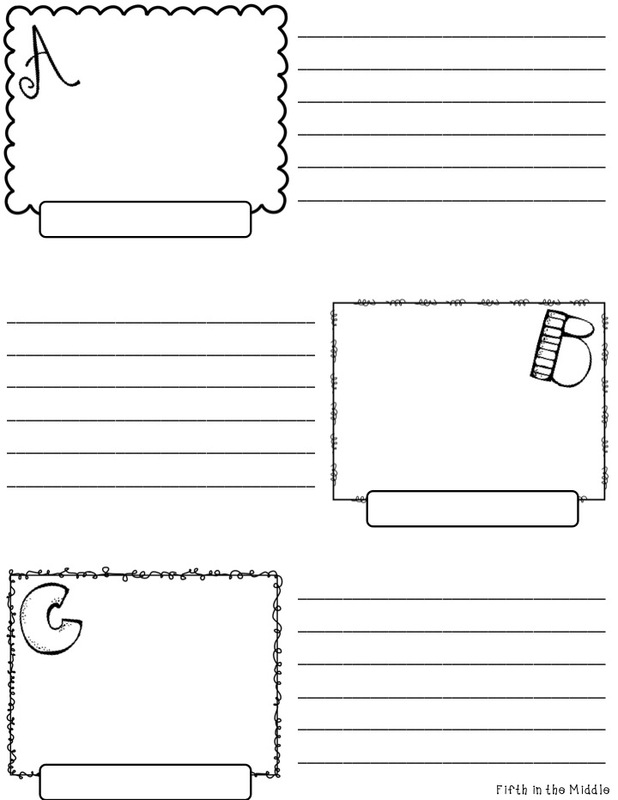 Then students will choose one thing for each letter, and draw a picture in the box, label it in the bottom rectangle, and write a short description on the lines. Students really enjoy working on them! I love this idea. I will definitely be using it. It will be a great way for my students to reflect on what they learned this school year. Thanks for sharing. I pinned the idea. I'm a FB follower! We're done with the school year (Yay!!! ), but I'm already gathering ideas for next year. :) I've also pinned this. Great idea!? I am a follower of your blog and facebook page. Thanks for sharing with us. Just liked you on Facebook! Great giveaway. Excited to use this with my class! I LOVE this idea! I am a follower on FB.